I’m as guilty as the next person. I read a lot of books, fiction and non-fiction. I don’t often write reviews. 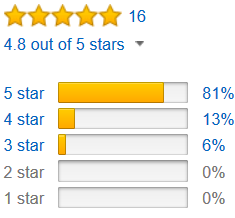 Yet I complain that I don’t get a lot of reviews on the books I write. So, what’s going on? I decided to examine the reasons why I don’t write book reviews so I can forgive those who don’t write reviews for me. Maybe. No time. Classic excuse but I don’t buy it. It takes only a few minutes to go to Amazon or other book venues, click on “write review” and write a few lines. Didn’t like the book and don’t want to write a bad review. Well, I don’t have to write a “bad” review. I can constructively criticize without tearing the book apart. This does take a little bit more time, however. What can I say? It can be as simple as “I loved this book” or “I couldn’t put it down.” It helps to add some details such as “I loved the main character’s fortitude in dealing with her sick mother,” etc. This does help the writer plus future potential readers who are looking for stories with strong characters. Then there are the star ratings. I definitely use them in selecting books and find them helpful when there are a lot (maybe 50 or more) of similar ratings. I rarely will select a book that has 100 2-stars, but I might consider 100 4-stars. As a reader, I do look at reviews. I am remiss, however, in writing book reviews. Still, I wonder, why can’t I get more reviews? At the very least, from my friends, who, by the way, you cannot count on to write reviews. And perhaps, you shouldn’t. After writing this, I am setting my own goal to write reviews on books I read in the future. I’ll let you know how that goes. I would love to hear your experiences. Please share. A genuine memior full of adventure! The Crazy Life of a Kid from Brooklyn is a fantastic snapshot into Bill Morgenstein’s life. From the moment I started reading I felt like I was transported back in history where I could share all of Mr. Morgenstein’s experiences with him. There didn’t seem to be a dull moment in the journey as we were constantly facing a new event. Each adventure produced a lot of life lessons to face and learn from without having to step out of my home. Throughout the entire book, I felt a great deal of authenticity. The raw and candid moments, mixed with humor had me laughing and cheering. I couldn’t help but feel a sense of pride with every accomplishment Bill Morgenstein achieved. I would recommend The Crazy Life of a Kid from Brooklyn to anyone who is a fan of Memoirs. Additionally, to anyone who is curious about life in the past. The writing style of this first time author was very fluid and easy to follow. Thanks for your comments, Bill. Your review is terrific, but I understand your disappointment. I find the appeal an interesting idea, but I guess it didn’t work as planned. Hmm. Continued success to you. Before I always reviewed every book I read. Did it for myself as much as for the author. That way I remembered books that otherwise I’d forget. Then I had a stroke. It not only limited movement to one hand (my left and I’m right-handed), but I cut down on social media. I’m a writer so I couldn’t stop, but I have yet to write a review. Maybe it’s having the time. I make so many mistakes that a paragraph often takes several minutes. I completely understand and you should not beat yourself up over it. At some point, you’ll be back to writing reviews. For now, writing your own work is more important. All we can do is wish and pray for you: A rapid recovery. Stay with it and you will overcome the effects of your stroke. Getting reviews is like pulling teeth. 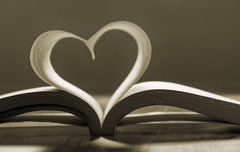 I used to be religious in reviewing every book I read (except those where I they were just so bad and I didn’t have the heart to give a 1* or 2*) – lately I confess, I’ve not been as conscientious as I should. I don’t believe in doing review swaps that attempt to cheat the system but I’ll admit that several writers (friends of my writer friends) have contacted me in the past about doing an exchange in return for an honest review. I’ve checked in the Amazon look inside feature and decided I was prepared to take a look at their novels. I’ve read and posted a review for them, but they haven’t returned the favour! Serves me right! Amazon removed at least 20 reviews from one of my novels, and I have no idea why, as they were legit. I do know they don’t like it if authors write reviews, and they often will remove them. I don’t know if any of those reviewers were writers, but maybe? I still review books, though I’m an author, but I realize Amazon may remove them. Wow, I didn’t realize Amazon would actually remove reviews. Writers are readers too, so what’s up with that? Thanks for commenting. I loved this delightful, informative and insightful book. Oh, did I mention inspirational!? Bill Morgenstein is a perfect example of how someone can leverage anything they do in life. He certainly took advantage of all his experiences and made them stepping stones to the next big adventure. He tells his stories with a lot of detail and a great perspective on how he made it all happen. I was especially drawn to his experiences in the shoe business. As someone who was employed by Thom McAnn in high school, and a former shoe model — I wonder if our paths ever crossed? You know that song, Dueling Banjos? So, in my case, it was Dueling Books. Just got off an international flight with the book I started before boarding the plane and this book from the top of the heap of mail that accumulated during my 3 weeks away. Read a chapter of one, then a chapter of The Crazy Life of a Kid from Brooklyn, another chapter of the first one, another chapter of the Crazy Life book until a winner emerged. At first, I almost didn’t open it ’cause I generally only review business books and this appeared to be more of a memoir or autobiography. And it is that. But lots for those looking for business lessons as well. Lots of lessons about managing people. Like when he purposely left an imperfection for a fastidious boss to find. Spent the day on the backyard deck in a reclining lawn chair eating fried zucchini, peanut butter and banana and devouring Bill Morgenstein’s book. Hated the references to his early date’s appearance but kept reading anyway ’cause this guy is fascinating. A mischievous kid to the end, we get to see this guy create trouble, escape trouble, rise in prominence and responsibility and success from escapades in Korea to travels around the world in the shoe business–it’s hard to figure out how the author fit so many adventures into one lifetime and he’s still at it. Don’t pick it up unless you’re prepared to neglect everything else on your schedule ’cause you won’t be able to stop till page 323. Please note that all requests or questions will be answered promptly. I value your opinion. Hey, thanks, Bill. Since I, too, am a crazy kid from Brooklyn, I will try it! Thank you, and from Brooklyn we branched out to many other places. You are to be congratulated for your fine and inspiring work.